Sniper : Ghost Warrior 2 takes the precision of its notorious predecessor to new heights . Powered by the CryENGINE 3 engine , the missions of Ghost Warrior 2 are graphically innovative and more challenging as you once again step into the ghillie suit of a special ops sniper to throw hot lead at the enemy. 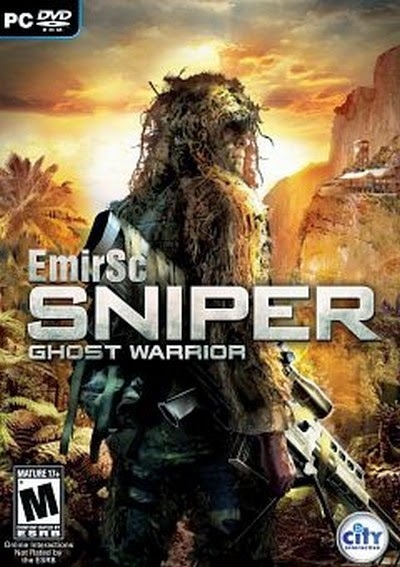 Sniper : Ghost Warrior 2 is the only multi platform, first person , modern shooter exclusively designed around the sniper experience . It takes the bulls eye precision of its predecessor to new and exciting heights , offering more diverse sniper challenges ; a rebuilt AI system and the thrilling “ one shot , one kill ” precision that made the original a huge hit , selling 3 million copies worldwide . Taking advantage of the advanced capabilities of the CryENGINE3 , Sniper : Ghost Warrior 2 also delivers striking graphic environments . Enemies will exhibit group behaviours , i.e. act aggressively when in large numbers and play it safe if facing the sniper in pairs or alone . Innovative Motion Sense Trigger System allows players to imitate pulling an authentic trigger of a sniper 's rifle . Breathing causes movement . Hold it , zero in and feel time creep by and your scope stabilize . Bulletdrop and environmental influence doesn ’t get any more real than in Sniper : Ghost Warrior 2. More precise than ever before . Casual : Introduce yourself to sniping in a more relaxed , less intense way as you learn how the game works while still taking down your prey . Medium : Experience gameplay that is well balanced and delivers a more intense sniper experience . Enemies will react quicker and more aggressively . Expert : This mode is designed for the most seasoned Snipers . You will receive a minimum number of hints while on your mission . 2 Responses to "Sniper: Ghost Warrior 2 Single Link Iso Full Version"